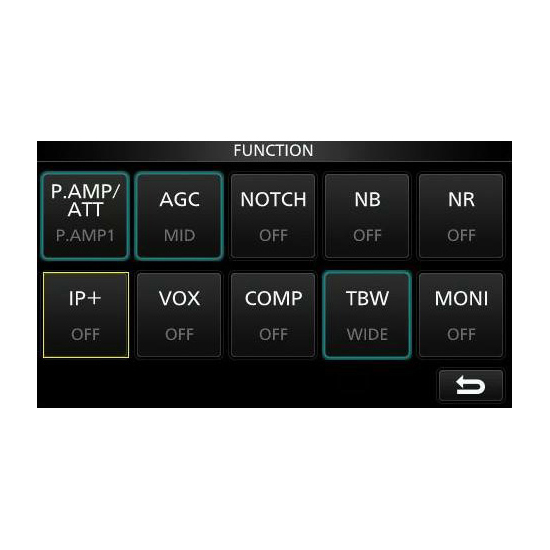 The new "IP+" improves the 3rd order intercept point (IP3) performance improving the ability to copy a weak signal that is adjacent to either a strong interfering signal. 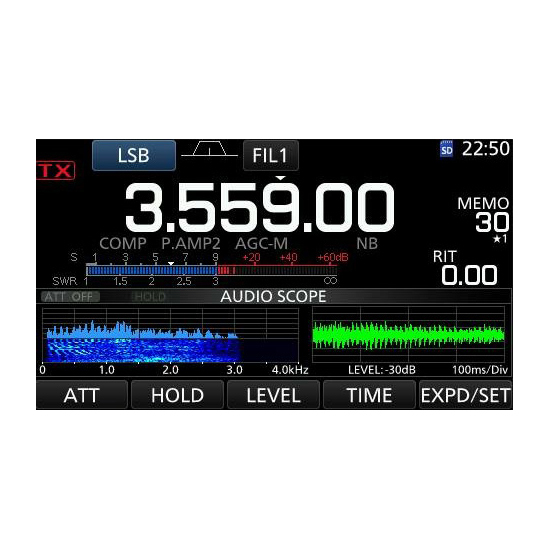 In this process, A/D converter is optimized to reduce or eliminate signal distortion. 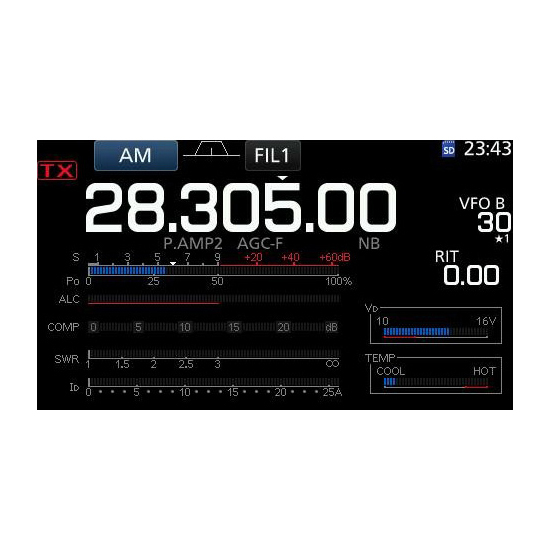 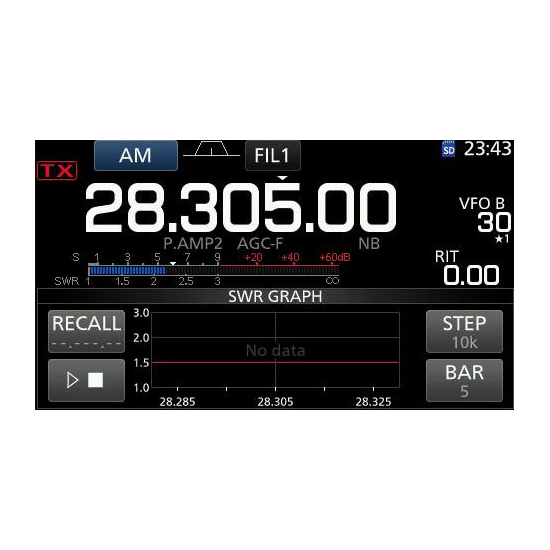 The large 4.3" color TFT touch LCD offers intuitive operation of functions, settings, and various operational visual aids such as the band scope, waterfall function, and audio scope. 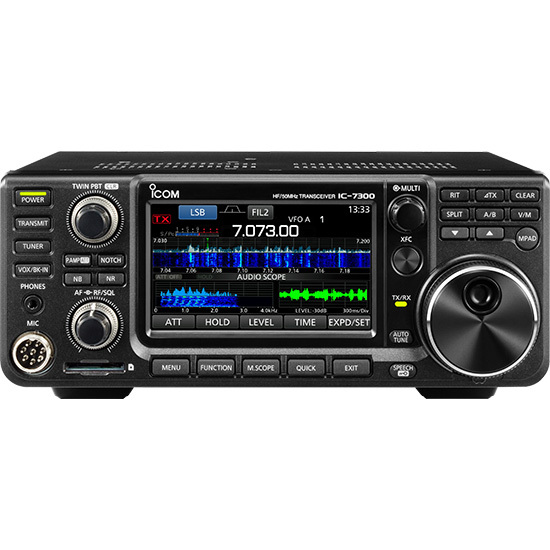 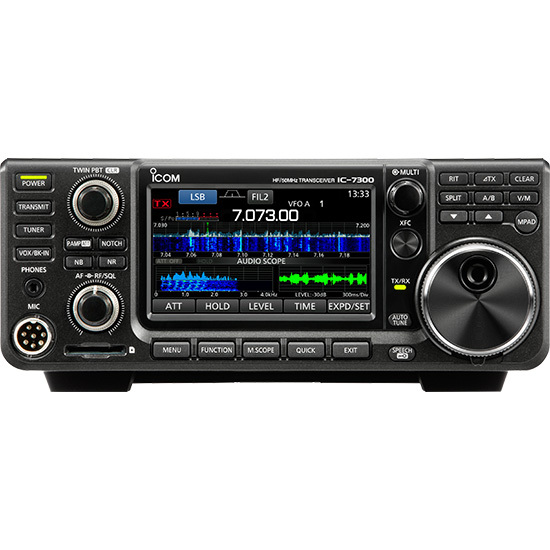 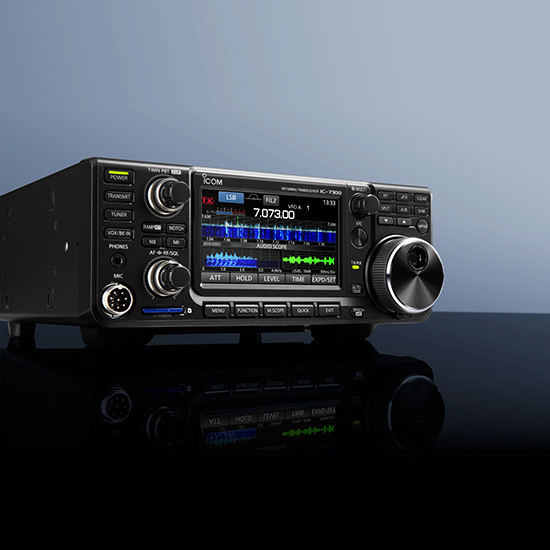 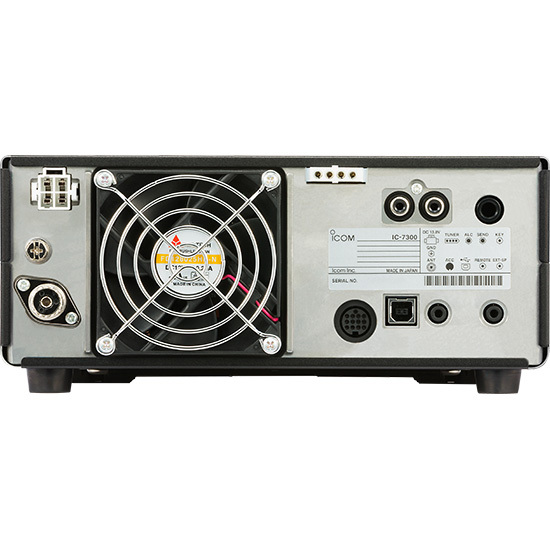 You no longer have to choose whether to listen to the audio or have the spectrum scope sweep for signals as the IC-7300’s real-time spectrum scope offers the simultaneous operations found in some of the more expensive rigs! 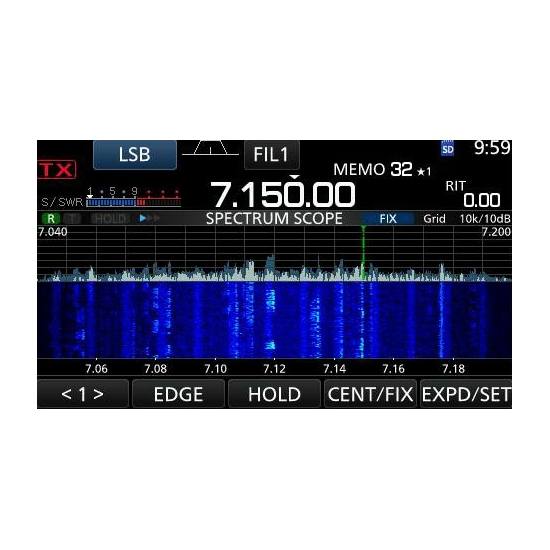 This means you can use either the spectrum scope or the waterfall to quickly move to an intended signal while listening to the receiver audio. 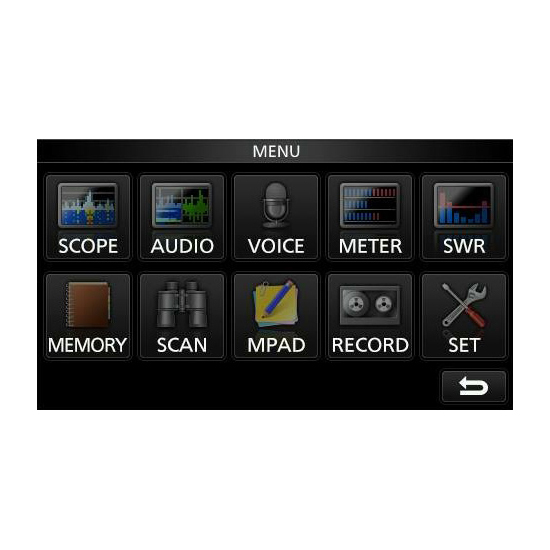 The ‘7300’s touch screen introduces a "Magnify" function. 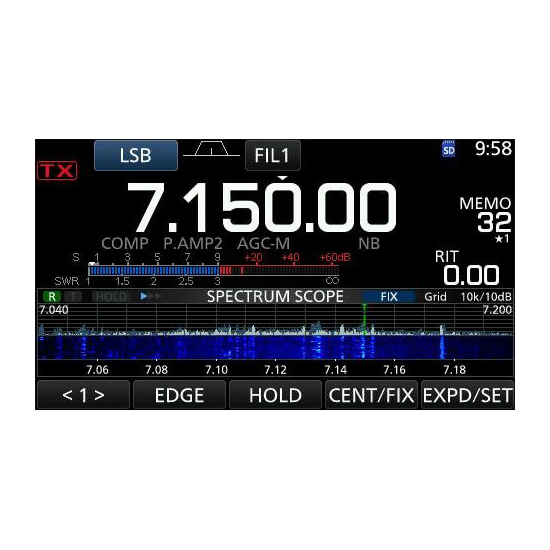 So, when you first touch the scope screen around the intended signal, the touched part is magnified. A second touch of the scope screen changes the operating frequency and allows you to accurately tune.